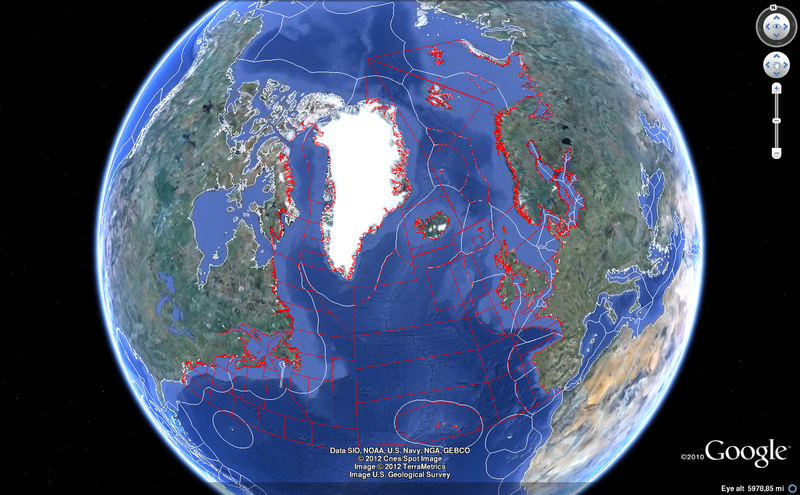 On the ICES Spatial Facility webpage one can obtain a view of the ICES statistical areas. Now since the projection used is more than a bit misleading I was wandering how these statistical areas would look like in Google Earth. Thankfully the shapefiles associated with these rectangles are available to download from the web page. What follows is less than a bare bone code to convert the shape files into kml files. Except that a bit of a thinning of the spatial codes was needed because the original shapefiles are very detailed for some of the coastal areas resulting in very nonsmoothed zooming etc. in Google Earth. While doing this I also included the NAFO areas. 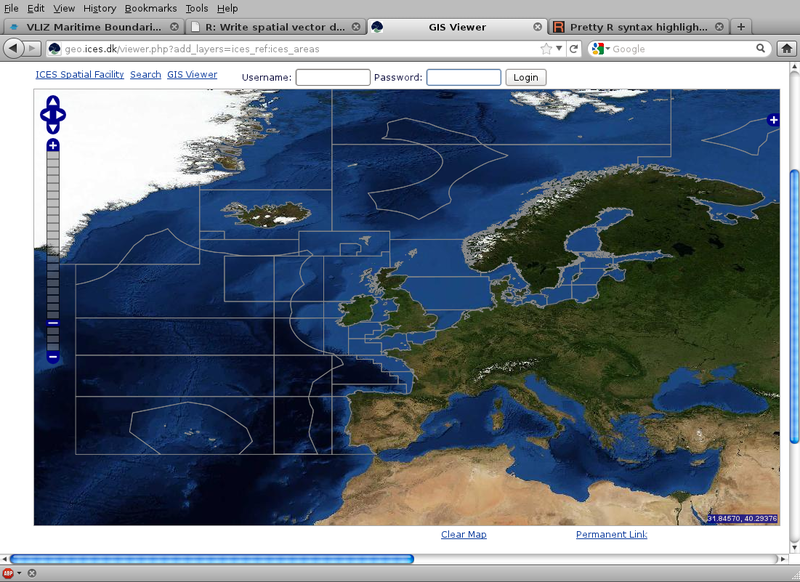 Since I also wanted to see the EEZ on top of this I include a code to convert EEZ shapefiles to kml. The EEZ data were downloaded from the VLIZ Maritime Boundaries Geodatabase.